As the eastern side of Maze Hill became more built up from the mid-eighteenth century onwards, access to the Woodlands area had to be obtained from the lane (now Vanbrugh Hill) to the east. Neil Rhind guesses that authorised gravel digging may have stopped in the later eighteenth century, when there is evidence that flatter parts of the site was in use for kitchen gardens and small holdings. After Vanbrugh Castle was built, other houses followed on the north east side of Maze Hill, leading towards the river (see Map 2). The substantial Maze Hill House, which had its origins as early as 1718 but much enlarged in the early nineteenth century and demolished in 1934, stood on the site of what the present Nos 69-105 Maze Hill, and some of its pleasure grounds were taken for the cul-de-sac. Map 2 1837: The distinctive zig-zag shape of the modern Westcombe Woodlands is already apparent, as field boundaries. More houses have been built on Maze Hill and on the rural lane that would later become Westcombe Park Road. Please note the green shaded area shows the current boundaries of the Westcombe Woodlands. Parish records survive for 1843, allowing us to identify exactly who owned the parcels of land now known as the Woodlands. 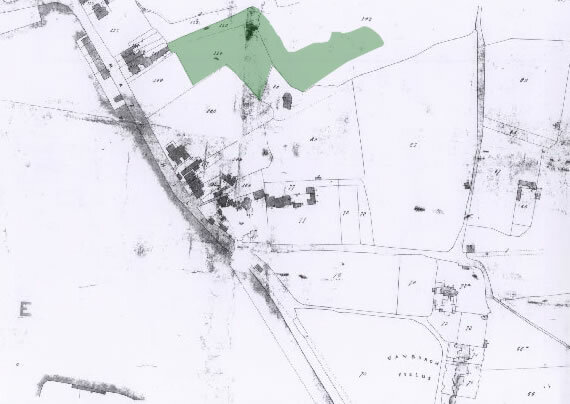 The eastern half and a slither of land along its northern edge (near where Tom Smith Close now stands) and identified as “Unoccupied Plantation”, was then owned by the trustees of Morden College (see Map 3). The College – today a home for the elderly retired – was established in 1695-1700 by Sir John Morden as a refuge for merchants down on their luck through no fault of their own. It sits on the south eastern corner of Blackheath, and to this day the trustees still control large tracts of land in East Greenwich and on the Greenwich Peninsula. Map 3 1843: Vanbrugh Hill is still an undeveloped country lane. 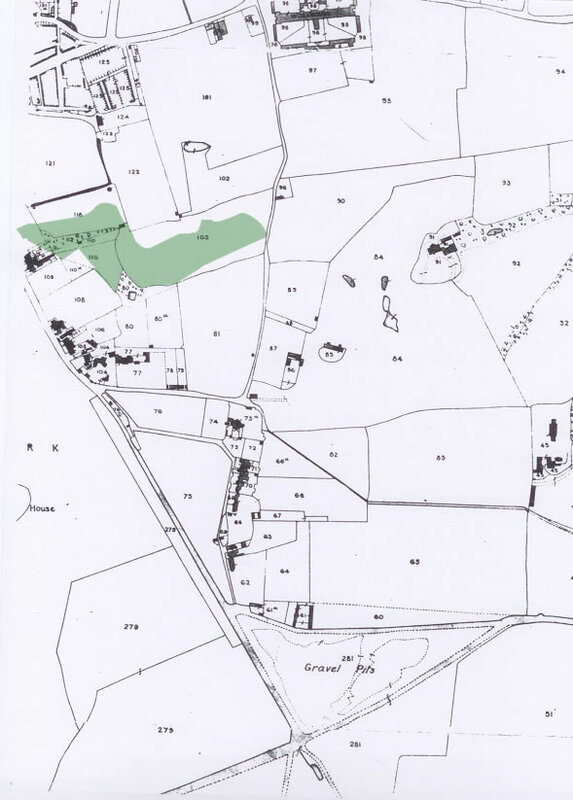 The numbers on each plot of land on this tithe map can establish who owned the site in the early Victorian days. Please note the green shaded area shows the current boundaries of the Westcombe Woodlands. Some of the western part of the Woodland was in the leasehold of Mrs Anne Collins, widow of Edward, the owner of Maze Hill House – it appears to have been garden land related to Maze Hill House itself. The area to the south of the Woodlands (some in the grounds of Vanbrugh Castle), contained a pond and was part of the estate of a large house (demolished in 1854) just to the east of Vanbrugh Castle. Known as the Red House it was owned by Thomas Brocklebank, owner of Thames river steamboats and the lessee of Westcombe House from 1829 to 1843. So even in those days, the Woodlands were a largely forbidden area to the rear of rich people’s private homes and stoutly fenced against undesirables and trespassers.